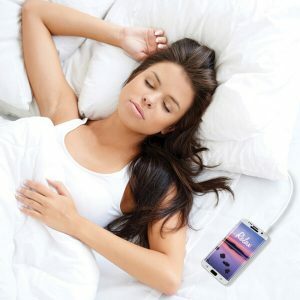 With these pillow speakers from Sound Oasis, you can listen to your favourite music without disturbing your partner or others in the household, and enjoy a fantastic night’s sleep. These speakers require no power or batteries, so there are no worries about tangled cords or the battery dying during the night—the speakers run directly off your music player. 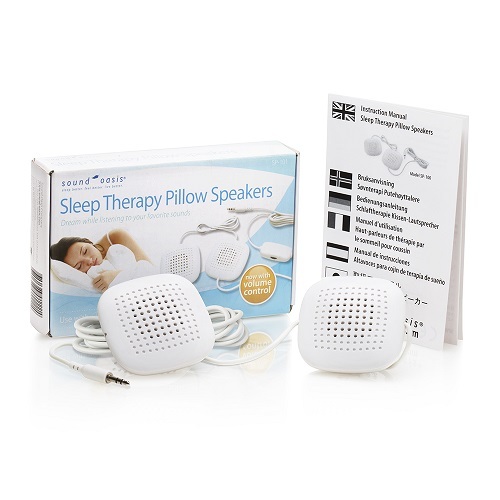 Transform your favourite pillow into a soothing sleep station with the Sound Oasis Sleep Therapy Pillow Speakers. 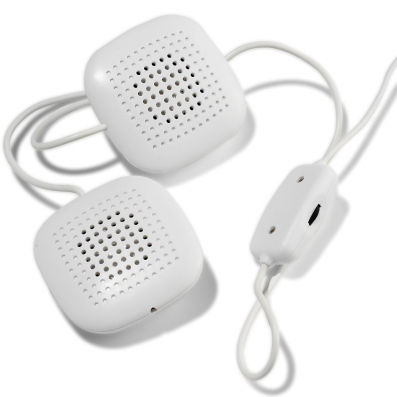 These slim profile speakers, which include an in-line volume control located conveniently on the cord, slip easily inside your pillowcase. So you can listen to your preferred music or sounds without resorting to uncomfortable headphones or ear buds. 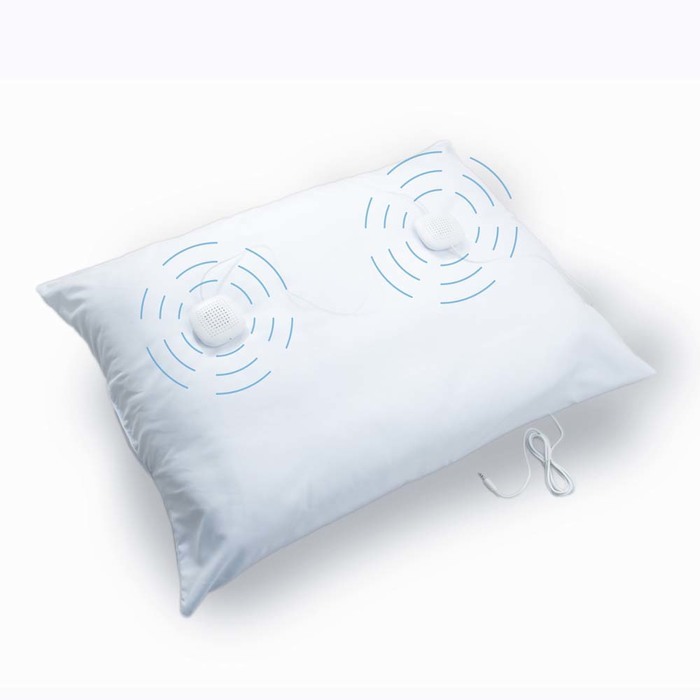 Sound Oasis Sleep Therapy Pillow Speakers are equipped with a standard 3.5mm plug which fits most devices, including iPods, MP3 players, radios, CD players, televisions, and Sound Oasis Sound Therapy Systems. You can also buy 3.5mm – smart phone adaptors. Two pillow speakers mean that as you roll from sleeping on one side/ear to the other – you do not need to the shift pillow speaker. There is one to position direcly under each ear on each side of the pillow! Turn any pillow into a Sleep Therapy Pillow with our ultra-thin stereo speakers-now with inline volume control. Simply place under your existing pillow and enjoy your favourite music or sounds for optimal relaxation and comfort. 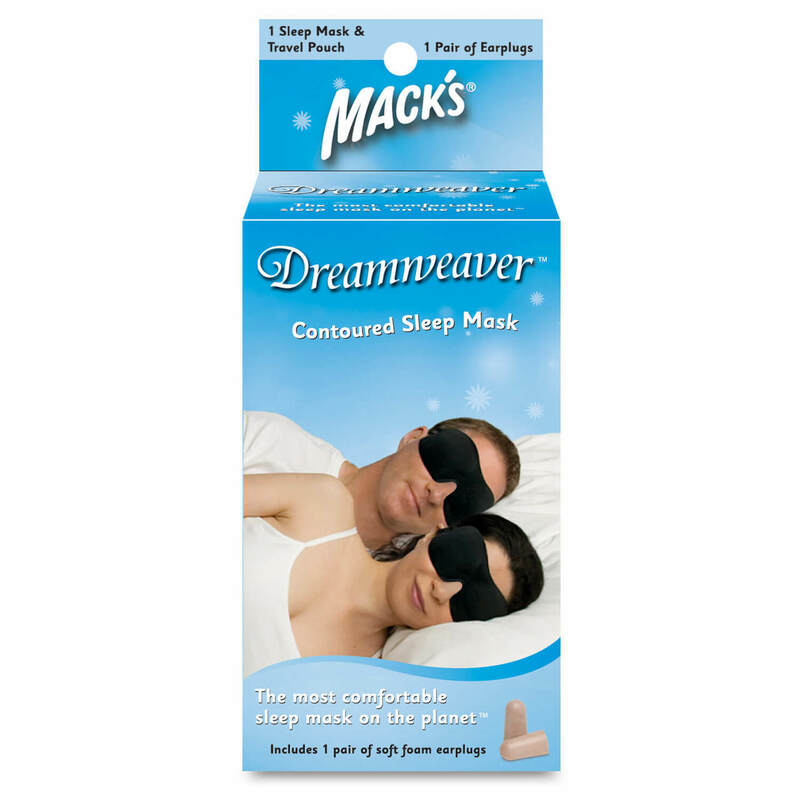 Use with standard or king size pillows. Use with CD players, iPods, iPhones, iPads, most MP3 players and TVs. 73″ long cord. Does not require batteries or power. 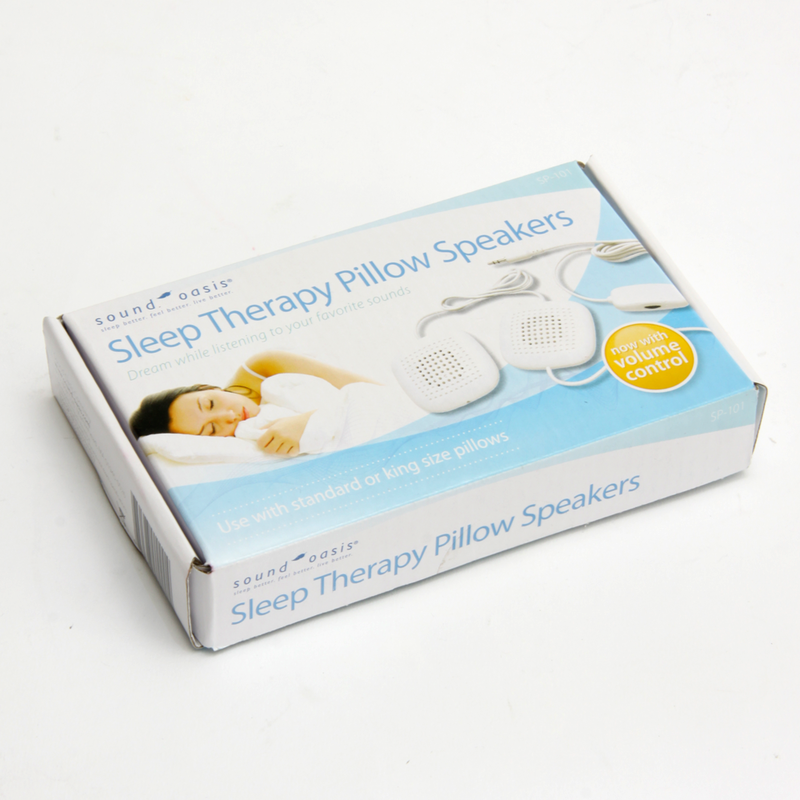 Enjoy the high-quality sound of your own private Sound Oasis Sleep Therapy Pillow Speakers every night! 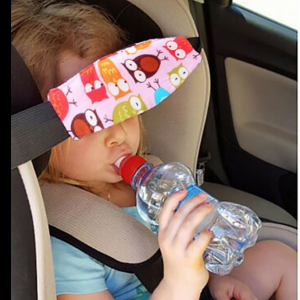 Super thin design for comfortable use, you won’t even know they are there. 3.5 mm plug fits most electronic devices including Smart Phones, iPods/MP3 players, CD Players, TVs, etc. SOUND AND MUSIC CAN HELP IMPROVE SLEEP, EFFECTIVELY BLOCK UNWANTED NOISE AND MASK SOUNDS OF TINNITUS. I love listening to music to help me get to sleep, but my partner does not. I don’t like wearing headphones to bed because I get tangled in the cord and they are not comfortable when I roll on my side. I can adjust the volume so the music does not annoy my partner and I easily drift off to sleep! I love to fall asleep listening to music and relaxation downloads on my iPhone, however it annoys my husband and he can’t get to sleep. I tried using earphones but I would always wake up through the night because I’d fallen asleep with the earphones in my ears and they would then be uncomfortable and my ears would hurt. I also got tangled in the cable. I then came upon these pillow speakers through Sleep Buddy and they are just what I have been looking for!! They sound is surpisingly very clear and totally volume adjustable. They’re great and I would highly recommend them to anyone! I suffer from tinnitus and have a lot of trouble getting to sleep at night. I plug these into my phone and listen to my relaxation music and I’m off to sleep in no time. Best of all it doesn’t disrupt my wife from getting to sleep either as she can’t hear it. Great product, thanks for your support also, much appreciated. 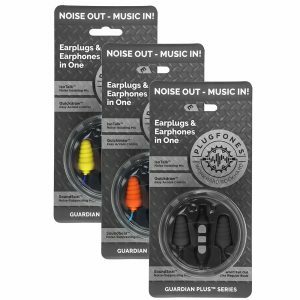 This product was easy to set up and provided me with the sound needed for sleep without the distraction of earplugs falling out or the sound being uncontrolled. The in-line volume control is a great asset. I ordered this product late one afternoon and it was on my doorstep the next morning! I can’t get to sleep without music and earphones hurt my ears after too long. This is the perfect solution.